Only freeze starter that’s bubbly and active. If you love baking Amish Friendship Bread every now and then, but don’t want to maintain a starter on your countertop, there’s an easy solution: freeze your starter! 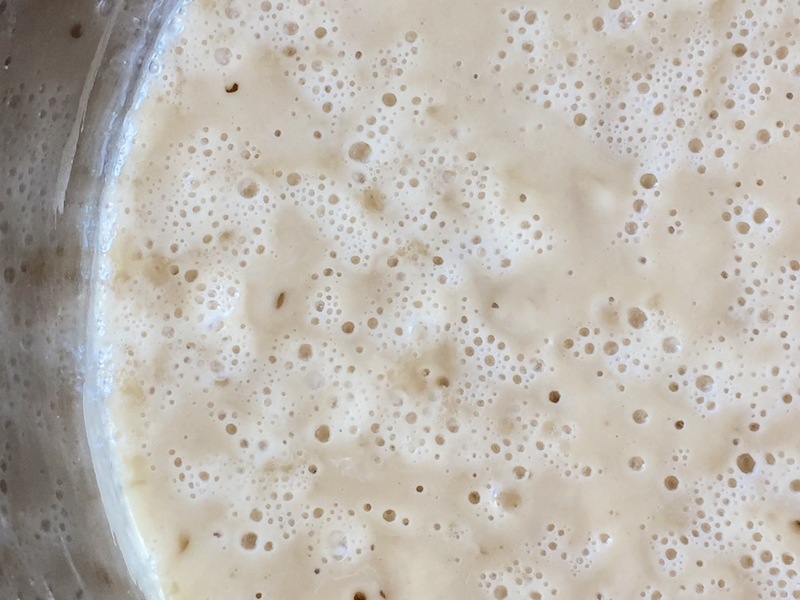 Prior to freezing, your starter needs to be thriving and active, which means it should have been fed in the past 24 hours. Prior to that, your starter should have had plenty of bubbles. Important: Freezing old starter or starter that looks flat means you’ll have the same blah starter when you defrost it later. You don’t want that. Use a one-gallon Ziploc freezer bag for every one cup of starter you’ll be freezing. Be sure to write AMISH FRIENDSHIP BREAD STARTER on the front in permanent marker, and put the day’s date. Mix the starter well, then add one cup to each bag (I add a little extra, because I know I won’t be able to squeeze all of it out of the bag later). Remove the air from the bag, seal well, then roll or fold each bag up for easy storage. Pop into your freezer. That’s it! The starter won’t freeze like ice–it’ll be more like the consistency of a slushy. You don’t need to take it out and mash the bag. Just leave it until you’re ready to use it. If you want to save a lot of starter, I still recommend freezing in one-cup portions. It makes it easier to gift, too, if someone calls to ask for some starter. You don’t want to have to thaw an entire batch just to get a cup out. Don’t refreeze thawed starter. Use it, maintain it (start the 10-day cycle again) or discard. 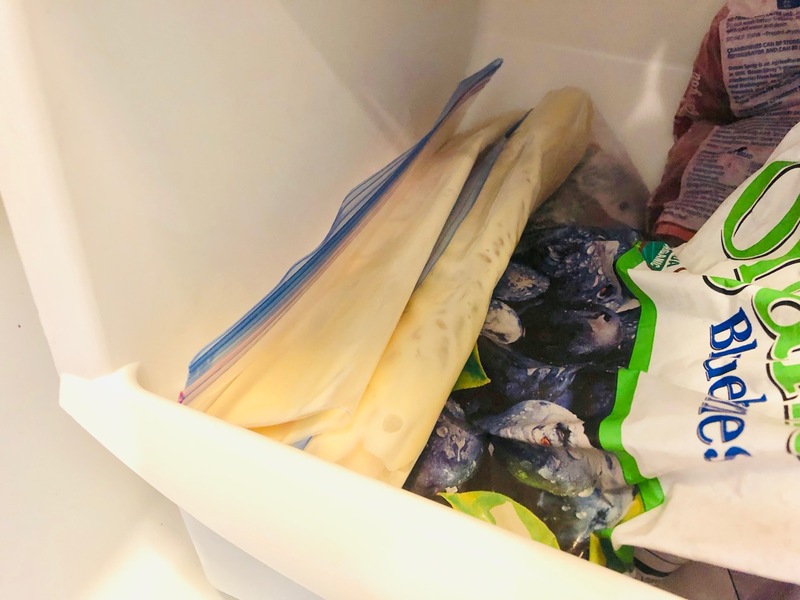 How long can you save your starter in the freezer? Good question. Keeping in mind that I don’t run a food lab here, your starter should be good indefinitely if the bag isn’t damaged and the temperature is 0°F. I’ve revived frozen starter that was two years old and it came right back to life. When you’re ready to bake, or the day before (my preference), just follow the directions to revive your starter. How do you start a starter from the beginning?? Can buttermilk be used instead of milk when feeding on 6th and 10th days? Hi Linda! Buttermilk can be used to feed a variety of bread starters, although it is more effective in savory and sourdough starters. Buttermilk adds a stronger, more sour flavor to the starter that may affect how your bread tastes. If you have to substitute buttermilk for milk, you certainly can. We’ve also experimented with using buttermilk in place of starter in our No Starter (Starter Free) Amish Friendship Bread. (You can learn more about that here.) Happy baking! I’m on day 6 and have an extra starter that I wasn’t able to give away. Instead of adding to it, can I just store it in the freezer like it is? Hi Bonnie! It’s best to store the starter AFTER it’s been fed, so if you’ve fed it, yes! If you have too much starter and no one to give it to, and your freezer is overflowing, AND you don’t want to bake with the excess (pancakes are a great way to use up extra starter: https://www.friendshipbreadkitchen.com/chocolate-chip-pancakes/) then as much as it pains me to say it, discard the excess. It’s better to keep 1-2 cups of starter and feed it at the proper ratios than to have too much on hand and underfeed it. Hope this helps!